It was wonderfully entertaining, but it wasn’t quite Freddie himself. Which raises the question that many are asking: Was his magnificent voice aided somehow by a genetic defect, four extra incisors: Do extra teeth equals extra range? That’s one of the more fascinating side stories that emerged out of this year’s Academy Award extravaganza. This is what we do know: His dental endowment (or affliction as he undoubtedly thought growing up) gradually had pushed his front teeth forward as he moved into adolescence, causing a great deal of teasing (“Bucky”) when Freddie was a boy and teen, when he was then known as Farrokh Bulsara. He hid them behind his hand and, later on, a mustache. But it never squelched his singing. The Internet is overflowing with accounts of how the transplendent Rami Malek prepared for his role as the four-octave frontman by slipping on a pair of customized prosthetic upper teeth to practice speaking and singing. 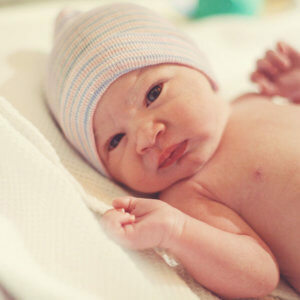 While Freddie’s extra teeth were unlikely due to a specific genetic disorder, at least one group of researchers has suggested an alternate biological explanation. 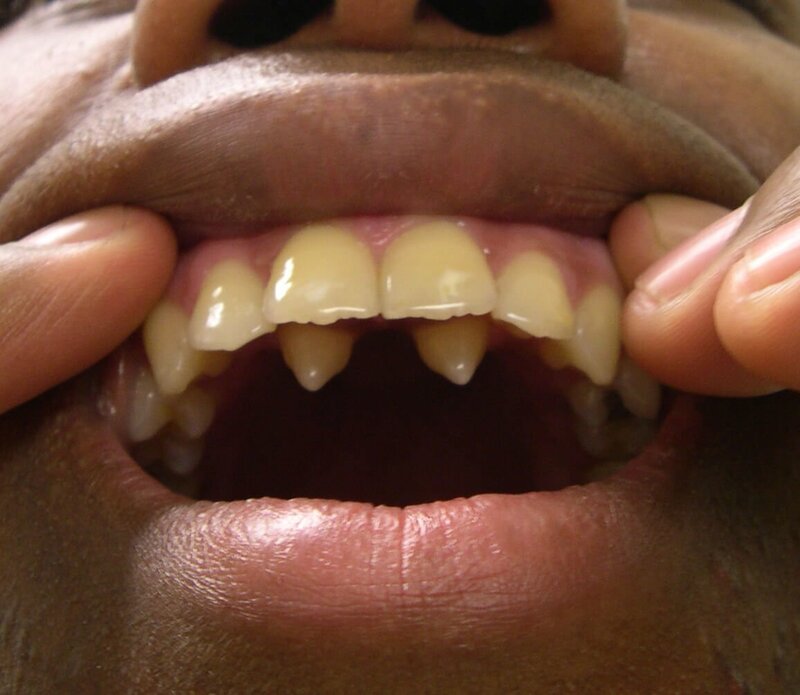 Nearly all single-gene conditions that have a dental component have unusually-shaped or absent teeth, not extra ones. The rare disorders that can produce an extra tooth or two are almost always a syndrome, with other symptoms. Cleidocranial dyplasia, for example, also causes short stature, missing shoulder blades, and scoliosis. And Gardner syndrome is better known for its abundant colon polyps, but a few people with it have extra teeth. A number of case reports in the medical literature describe people with extra teeth, but none of them are rock stars. One person had 17 extras! A paper in an oral pathology journal from 2005 described a multi-toothed parent and child, suggesting that extra teeth can be inherited. Freddie’s awareness of his extra incisors was unusual, although they could hardly have gone unnoticed. More typically, extra teeth turn up as a surprise on a dental-x-ray, or when they complicate getting braces or dental implants. “Mesiodentes” is the term for Freddie’s oral condition, referring to more than one extra tooth, more common in the upper jaw between the two normal incisors. Males are more often affected than females. And Freddie’s extras were “conical,” the most common shape. They likely popped up before or at the same time as his normal incisors. 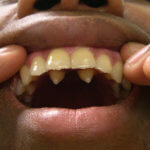 The overall prevalence of extra teeth is 0.09% to 3.4%, depending upon the population. One small study found a prevalence of 0.72% in Iran. Freddie was born in Zanzibar, but his parents were Parsi and Zoroastrians, who immigrated from Iran to India to escape religious persecution. And he was rare among the rare – only 1% of people with extra teeth have more than two. 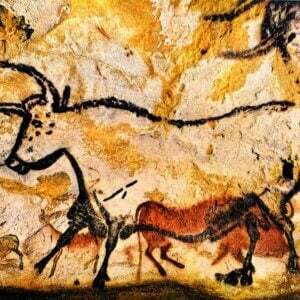 The earliest reported evidence of extra teeth was in remains of a 5-year-old from the lower Pleistocene, dating to about 2 million years ago. 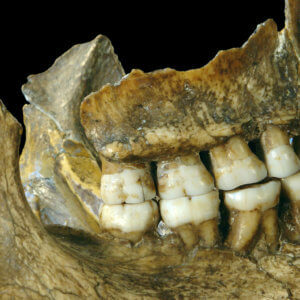 Remains of an Australian Aborigine from 13,000 years ago also had extra teeth. 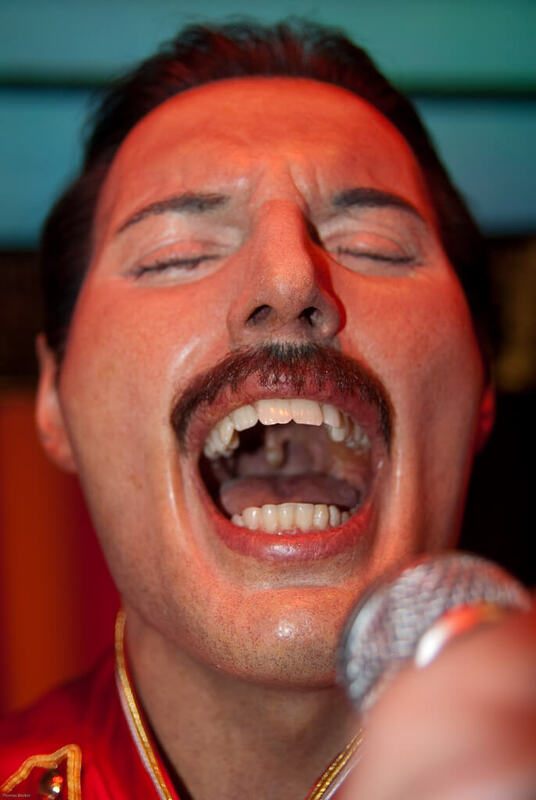 In the film, Freddie attributes his pipes to a cavernous oral chamber needed to house his extra incisors. That’s just speculation, although no one can say whether his refusal to have the extra teeth removed – an oft-suggested treatment – gave us We Are the Champions and Another One Bites the Dust. Maybe Freddie just had a big mouth. “Many people have supernumerary teeth, and this doesn’t cause the anterior teeth to necessarily be pushed forward. It has a lot to do with anatomical jaw size,” said Fred Levine, a recently-retired dentist in the Albany area of New York. “In most people I have seen with supernumerary teeth, the jaw size doesn’t correspond to the space needed for the extra teeth and the extra teeth are malpositioned, protruding either toward the palate or the cheeks. Freddie Mercury’s jaw size had to be larger than normal to begin with to allow his extra teeth to fit into a normal arch form,” he added. 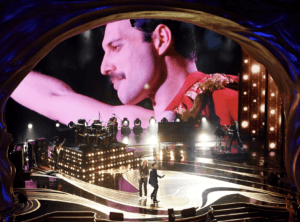 It turns out that Freddie’s voice didn’t arise from extra teeth or a big mouth, but from his use of a body part that’s usually not accessed – the so-called “false” vocal cords. 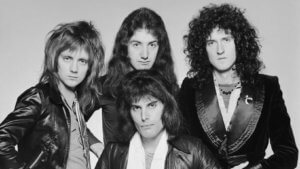 Freddie Mercury achieved an astounding vibrato by using, in addition to his regular vocal cords, a pair of mucous membranes that we all have protruding as folds just above the vocal cords. They’re called “false” vocal cords because they haven’t been thought to be part of the normal sounds we make, but some people can indeed use them. Here’s a video of a singer, Anna-Maria Hefele, demonstrating how she uses both sets of vocal cords. 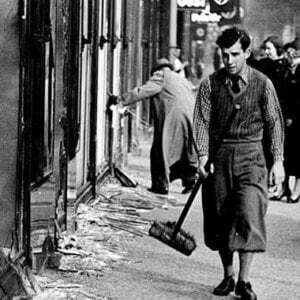 A few minutes in the eerie duality begins, sounding a little like Jethro Tull’s flute suddenly appearing against the bass in a song – but from one mouth. Queen’s lead singer apparently did something similar. The result was a unique “growl,” according to “What Made Freddie Mercury’s Voice So Magical? 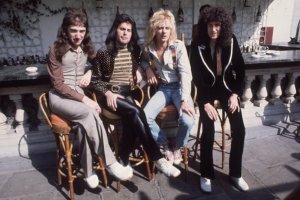 His Teeth,” a terrific article in Scroll.in.” Anvar Alikhan writes that Freddie produced and nurtured a rare sound called a “subharmonic vibration.” But the headline doesn’t have it quite right. It wasn’t his teeth. Scrutiny of the interview tapes quickly revealed Freddie to have been a natural baritone when he spoke. Yet his singing voice showed much more. “Analysis of 240 sustained notes from 21 a-cappella recordings revealed a surprisingly high mean fundamental frequency modulation rate (vibrato) of 7.0 Hz, reaching the range of vocal tremor,” the researchers write. The endoscope video from the Freddie clone, Daniel Zangger-Borchs, an authority on rock star voices, sent back 4,132 frames per second that revealed use of the true versus false vocal cords in an approximate 3:1 ratio. Thanks to the swallowed camera, we know that Freddie Mercury used something extra, but it wasn’t his teeth. It was likely his false vocal cords. But even that analysis couldn’t explain the four-octave range. Sometimes it’s best not to overanalyze things, just sing along or headbang in a car, and appreciate an astonishing talent that science just can’t explain. NOTE: This article originally ran on the GLP on November 18, 20018. It was updated on February 24, 2019 as Oscar night unfolded.